Teen actor Darien Freeman used to live for cons—before he was famous. Now they’re nothing but autographs and awkward meet-and-greets. Playing Carmindor is all he’s ever wanted, but Starfield fandom has written him off as just another dumb heartthrob. As ExcelsiCon draws near, Darien feels more and more like a fake—until he meets a girl who shows him otherwise. But when she disappears at midnight, will he ever be able to find her again? Well hello there! 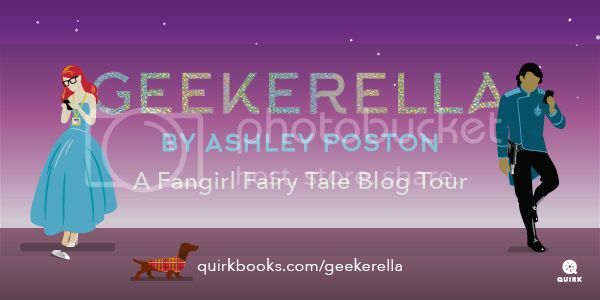 I am here to kick off the Geekerella blog tour, and I am unbelievably excited to have Ashley Poston on my blog. I’ve started Geekerella, and oh my god, the book managed to captivate me from the page one. For this post, Ashley has provided a list of recommended geek reads that everybody should read. Can you guess what books she picked? Can’t think of any? It’s okay, here they are! Geekerella is a full-on geekfest, and as such I had to learn from the best. Geeky books are some of my absolute favorite reads. They speak to my fangirl heart like no fantasy sci-fi space time dragon ever could. Here are a few of my favorites! The Fangirl’s Guide to the Galaxy by Sam Maggs—Fun and with a beautiful package, this non-fiction book will tell you all the things you never thought you needed to know on how to fangirl. Fangirl by Rainbow Rowell—SA-WOON. Do I need to say more? Also, its companion novel Carry On was one of my favorite fantasy reads of 2016. The Hitchhiker’s Guide to the Galaxy by Douglas Adams—Never forget to bring a towel on all your space adventures. Geek Charming by Robin Palmer—Also turned into a Disney Channel Original Movie, it’s not Cinderella getting the make-over this time, but the prince. And it’s adorkable. Scott Pilgrim VS the World by Brian Lee O’Malley—A must-read for arcade game nerds. Also, I hear the movie has Captain America in it? Wink-wink, nudge-nudge. The Only Thing Worse Than Me Is You by Lily Anderson—A nerdy retelling of Much Ado About Nothing? Um, hello. I am trash for this. Ready Player One by Ernest Cline—Another one of those staples right up beside Hitchhiker, it’s a mythical book of mystical proportions, and it made my gamer heart go flutter. Princess Jellyfish by Akiko Higashimura—A manga about an ultra-shy nerd who relocates to Tokyo to live in a shared household with a bunch of other nerds, and befriends one of the most beautiful people she’s ever met who inspires her to chase her own dreams. This sweet series is best saved for a rainy day. Queens of Geek by Jen Wilde—Oh be-still my fangirl heart, it’s like this book was written for me. Now what are you waiting for? Get to reading! Ashley Poston’s fangirl heart has taken her everywhere from the houses of Hollywood screenwriters to the stages of music festivals to geeky conventions (in cosplay, of course). She lives in South Carolina, where she hangs around the internet tweeting at @AshPoston. 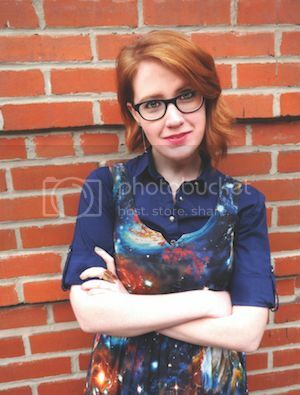 Are you excited to read Geekerella? Have you read any of the books on Ashley Poston’s “Recommended Geek Reads?”? I love so many of these but especially Fangirl and Princess Jellyfish!!! That’s one of my favorite manga series next to everything Ai Yazawa! I have heard such amazing thinks about Geekerella! And I just adore this list of geeky books. I’ve read many of them like Ready Player One and Fangirl, but definitely need to read Hitchhiker’s Guide to the Galaxy and I think Queens of Geek sounds awesome. 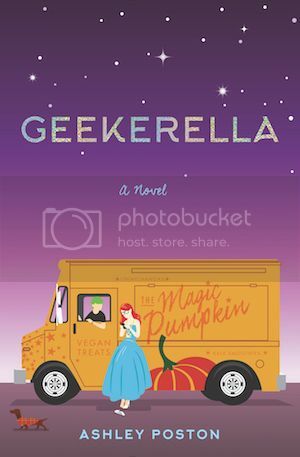 I can’t wait to read Geekerella! It sounds so fun! I love Fangirl and Ready Player One! I really liked Ready Player One and Fangirl. Can’t wait to read it!